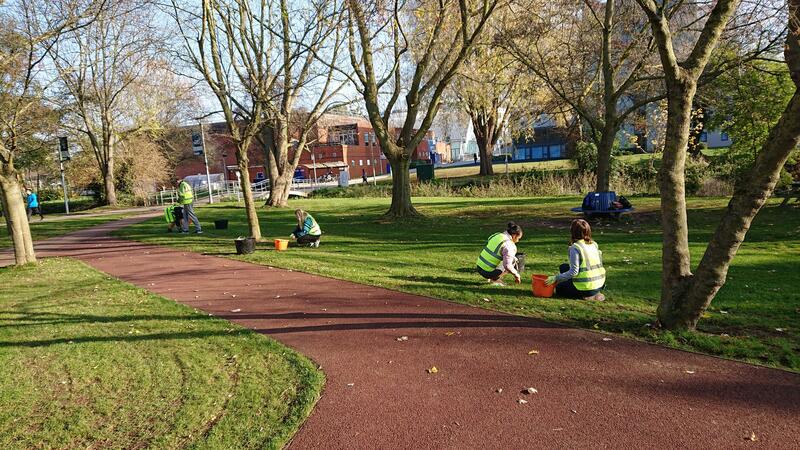 Plenty of activity going on in the small dipping pond by the board walk, the frog spawn has hatched out with tadpoles in abundance but the overgrown vegetation and dead foliage still needs to be thinned and cleared. 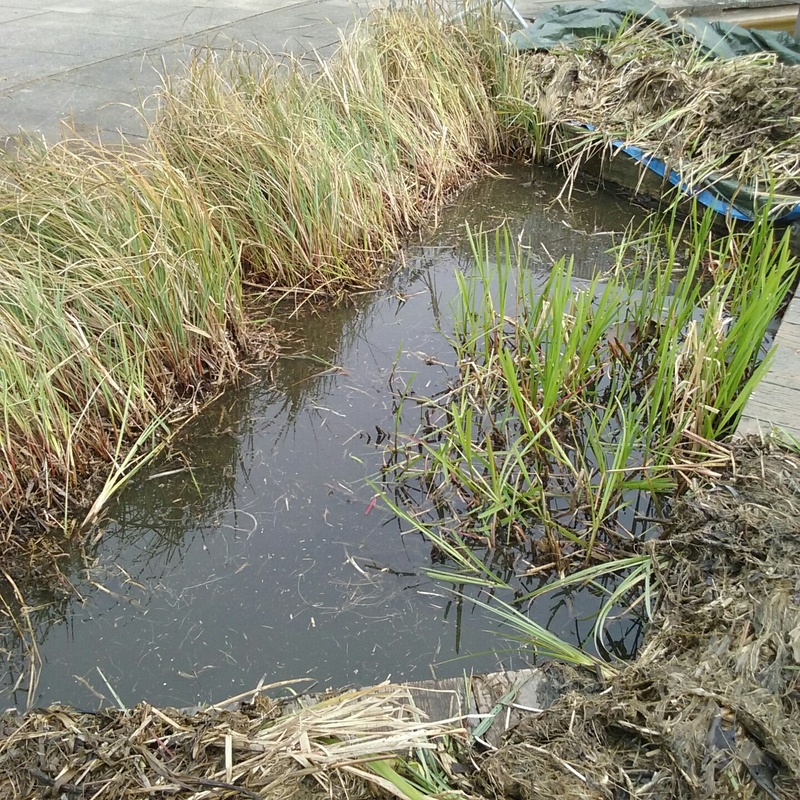 After surveying the area maintenance has now resumed with the reduction of the Glyceria and removing the dead foliage, a small gap has been created for the frogs to exit the pond when ready, the material removed has been left on the side for a few hours so any of the small insects, amphibians and other larvae can return to the water. 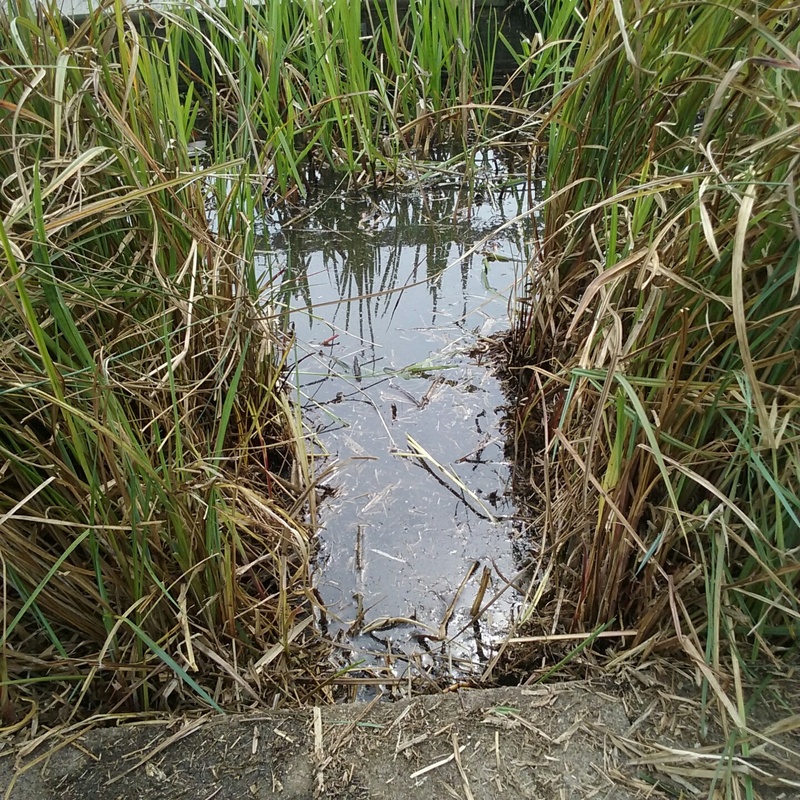 Soon be starting on the main part of the pond. 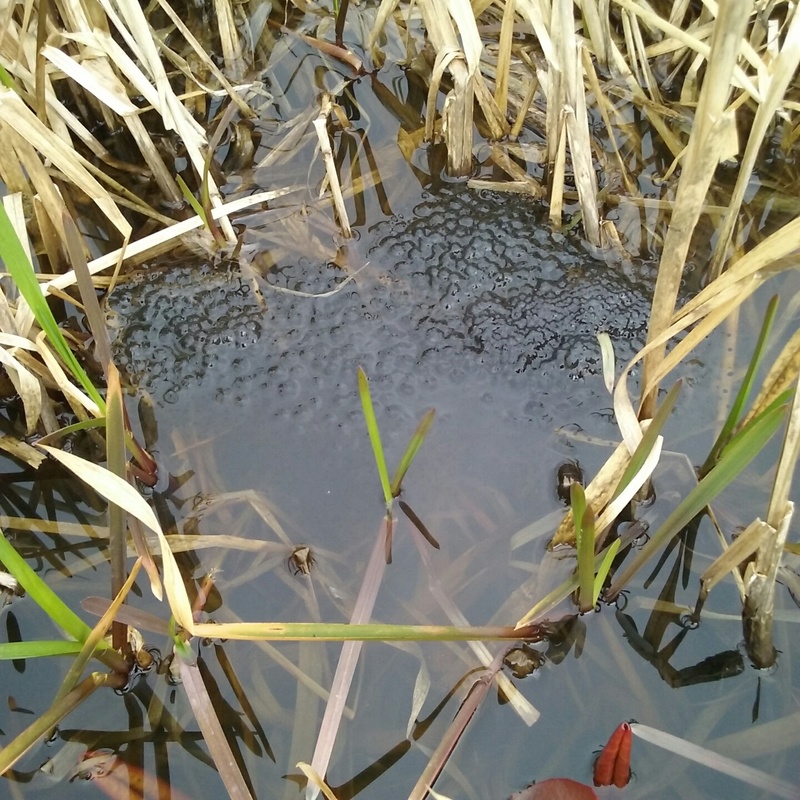 Have you seen the frog spawn that has appeared for the first time, as far as we are aware, in the small dipping pond by the boardwalk, this is great to see. 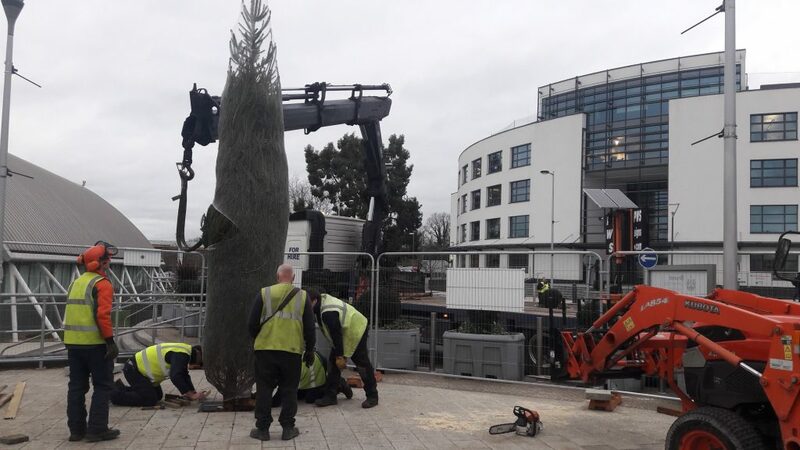 The dead foliage needs to be carefully removed and the fish exclusion curtain will be checked it is still in place. 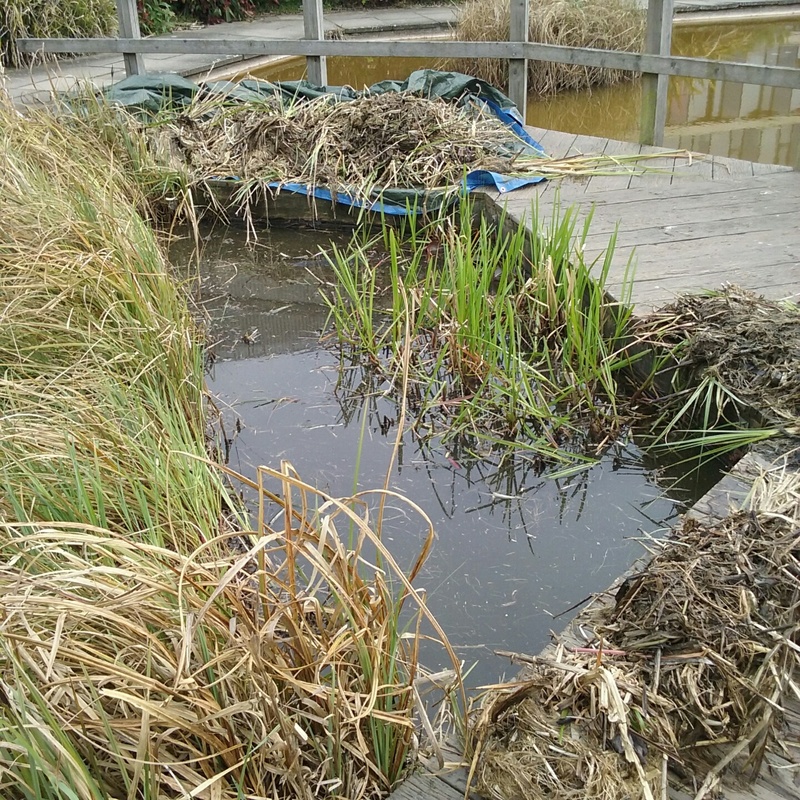 Maintenance work is in place for the pond including removal of debris and detritus extending the fish exclusion curtain on the reed beds, and liquid feeding the plants, we may also have to build a small ladder for the young frogs to climb out of the pond when the time is right. 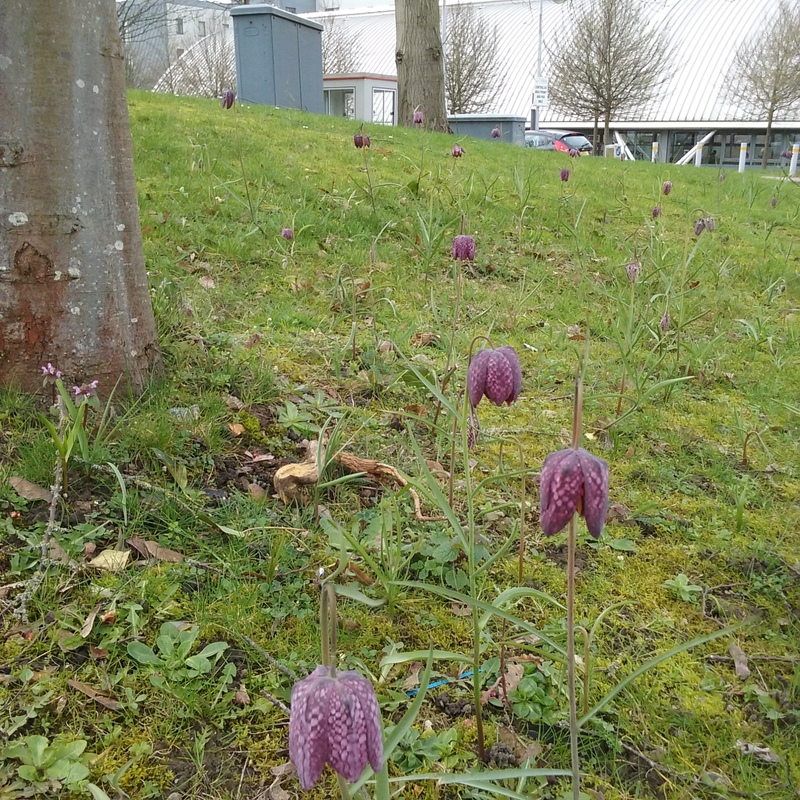 With the hot spell just passed, bright sunshine and rain the bulbs around campus are flowering in abundance but do look out for the slightly more unusual plants .The chequered purple flowers of Fritillaria meleagris are flowering pretty well at the moment see if you notice them around on Site. 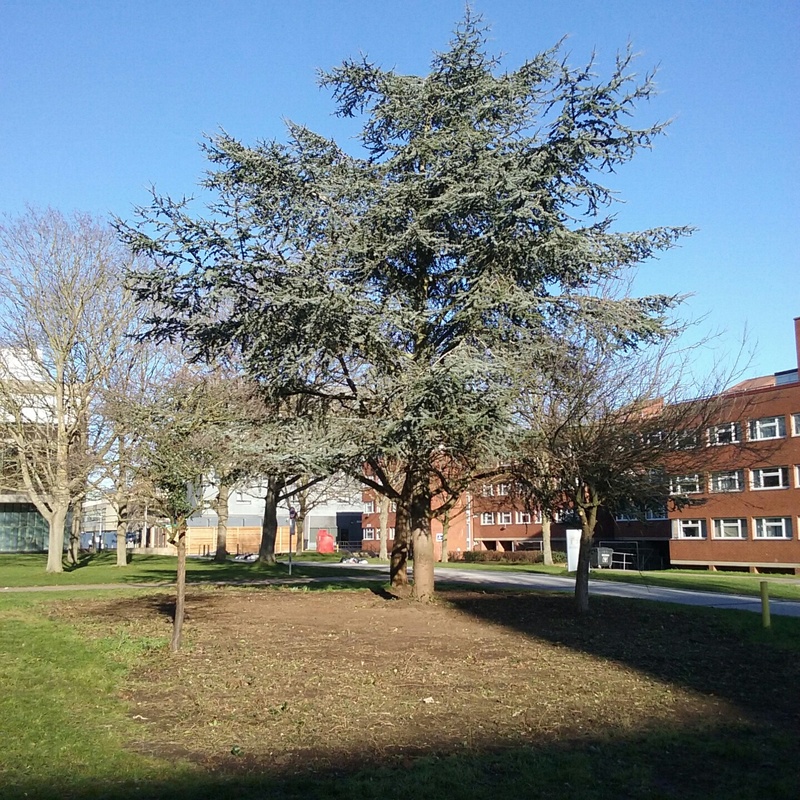 The Grounds team have been very busy this winter clearing up areas where damage has been done by the numerous projects that take place on campus. 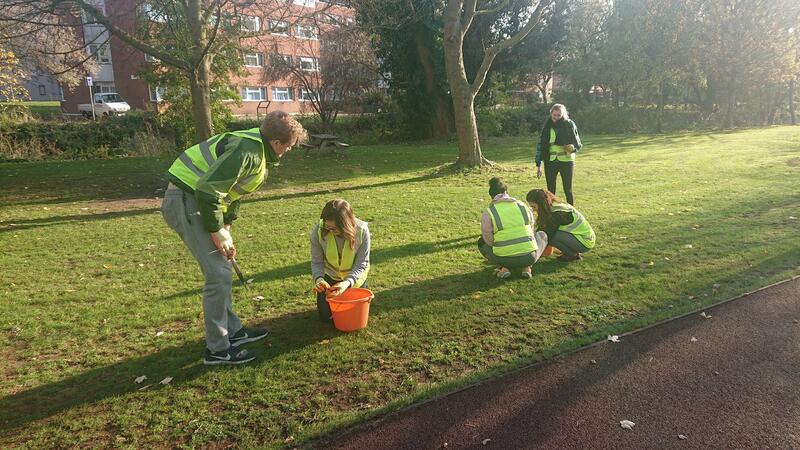 The upgrade of the access road in preparation for the Learning and Teaching Centre being one example. 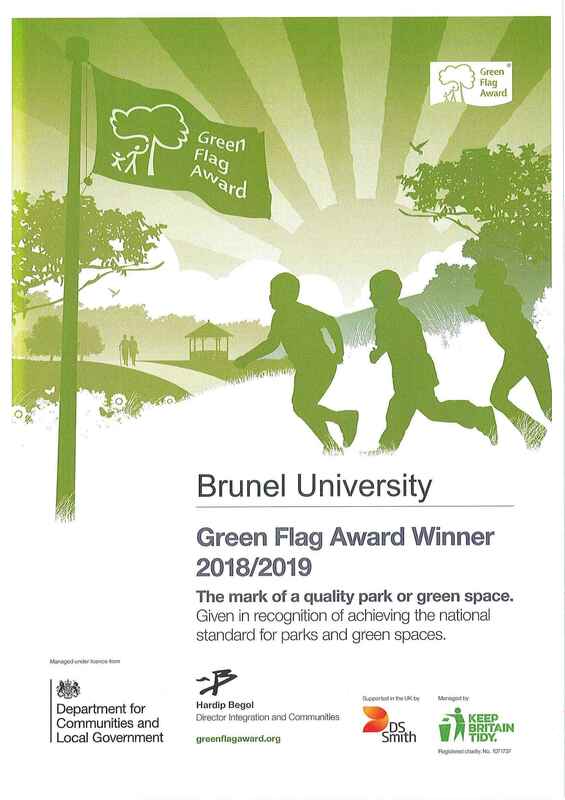 A temporary road was created straight through a large shrubbery near the Howell building with the ripped up plants just left in situ. 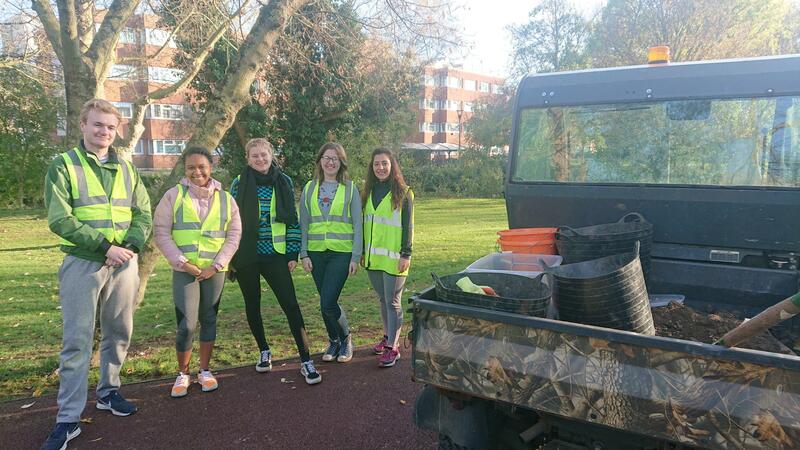 The team have cleared away the debris and opened up the space ready for new understory planting which will be designed to enhance the biodiversity in the area. 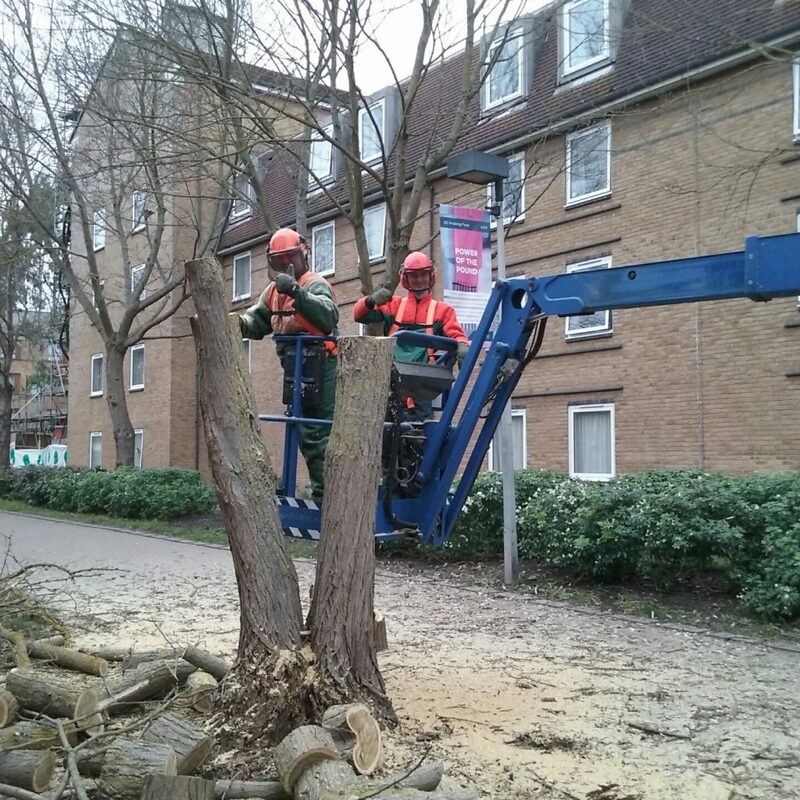 Had to take down the Robinia pseudoacacia due to basal infection and decay in the stem-not the best location either being on the main spine and leaning over Marie Jahoda building however managed to borrow the cherry picker to breakdown the tree in manageable sections. Left part of the trunk standing at the moment until we can have the stump removed. 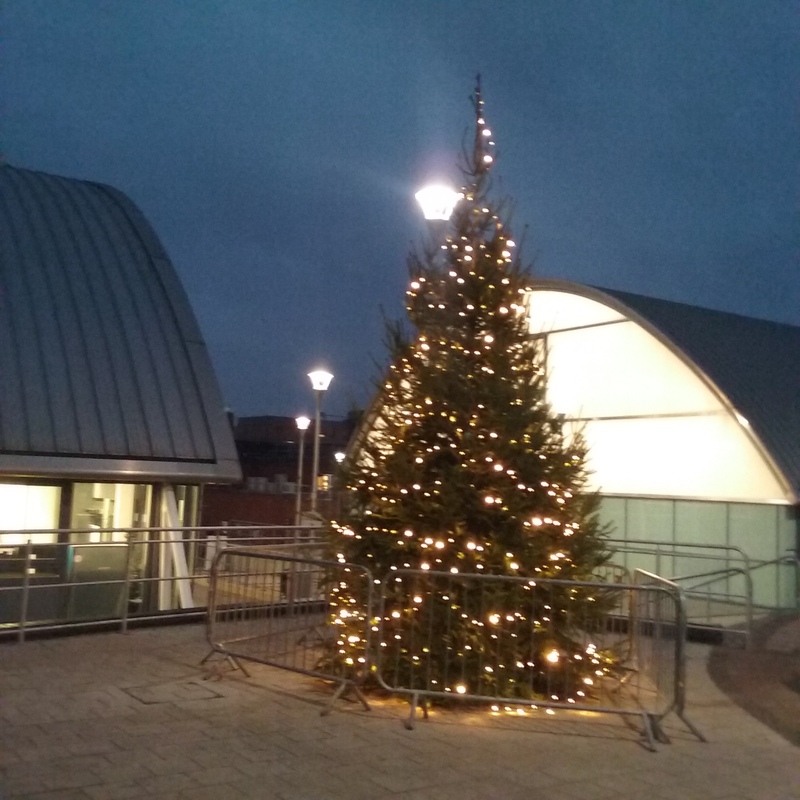 The Christmas tree had to be relocated from the quad due to the Crank building works at short notice, it now has a new home near the Indoor Athletic Centre and Eastern Gateway entrance making it easier to crane into place, around 80 metres of lights have been used to decorate the 24ft tree seen here in a rather blurred photo. 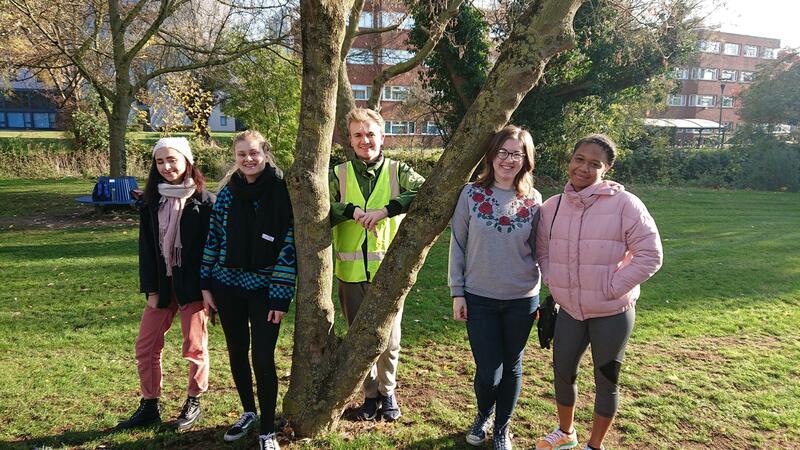 Another successful planting session with the Brunel Wildlife and Environmental Conservation Society, the weather actually held for a short time which gave the opportunity to get the bulbs planted. 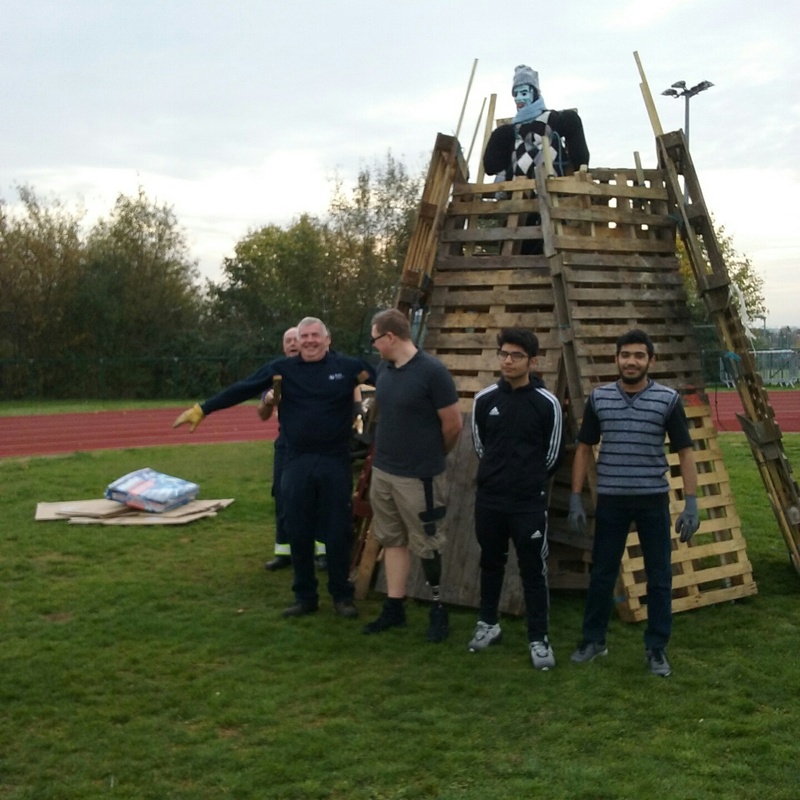 The Grounds department don’t just cover the landscape, outdoor sports facilities and biodiversity we also get involved in numerous events that happen throughout the year working with many departments, student societies and volunteers for different projects.Over the last few days we have been involved with the set up and de-rig of the fireworks event that took place on Monday 5th November including assisting with the construction of the bonfire working with the Health and Safety team and student volunteers. 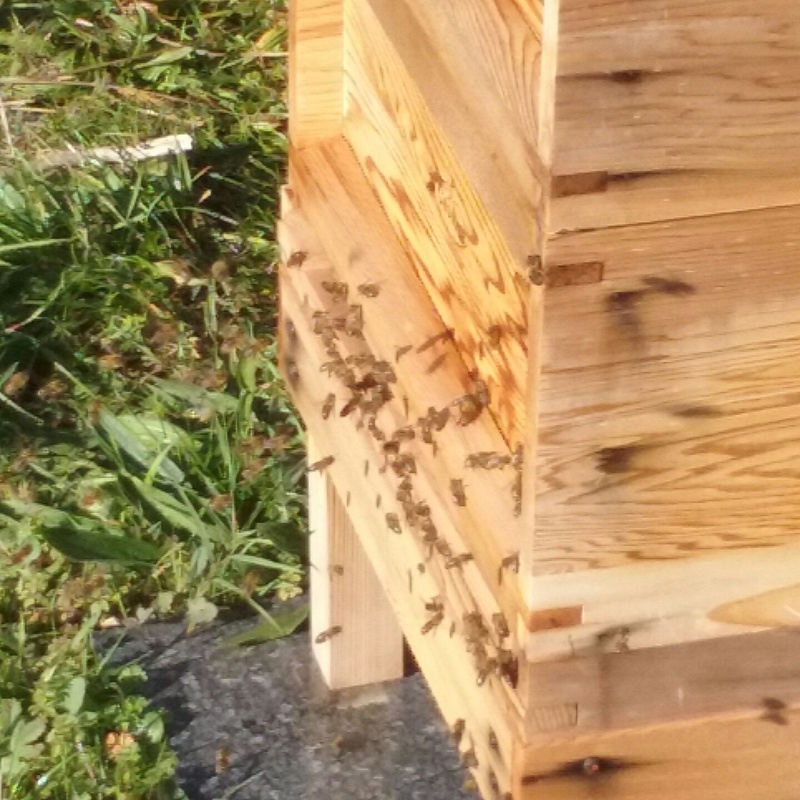 The Bees of Brunel seem to have settled in pretty well now and are still fairly active despite the mixed weather we have been enduring recently. 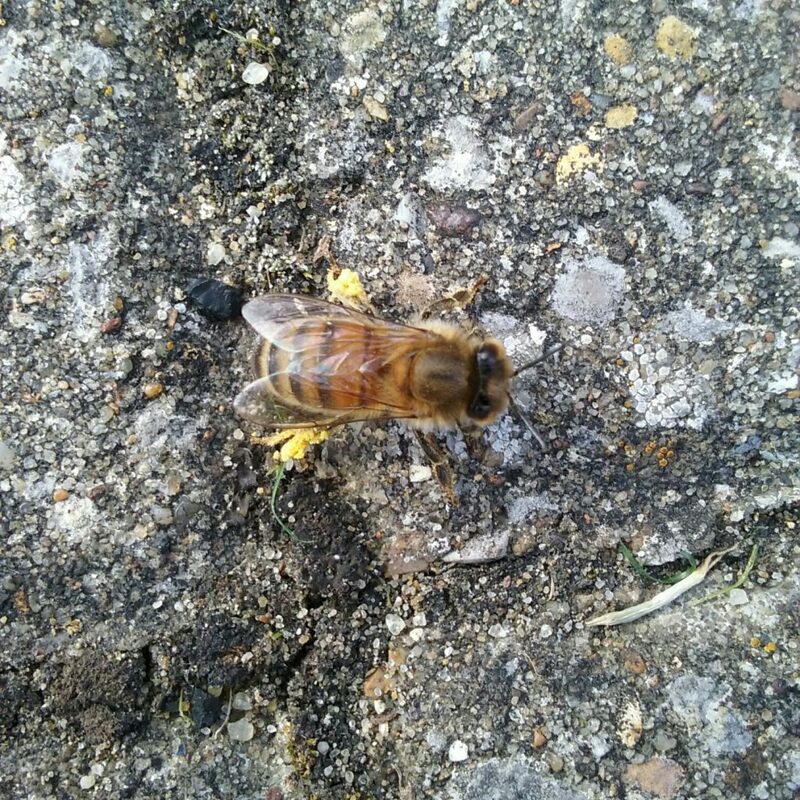 Here is one taking a breather up at the sports park.